Waiting forever for a C&P Exam from the VA? Try a Disability Benefits Questionnaire. In many types of Veterans Benefits claims, you are going to need expert medical opinions to prove to the VA that your military service is related to your current disability. 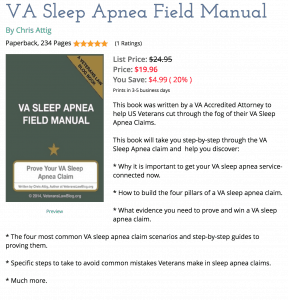 The VA most commonly uses the VA C&P Exam to serve this purpose – but many Veterans know that the VA C&P is pretty much how the VA “Seals the Deal” on a denial. After all, the VA “Experts” are paid by the VA, told what to say by the VA, and in my experience rarely read current medical literature. Waiting for a Compensation and Pension Exam (C&P) from the VA is a large part of the reason for the delay in a traditional VA service connection Claim. While C&P Scheduling is not the largest period of “wait time” in the VA Claims process, the wait can be 3 months to 2 years, or longer. Disability Benefits Questionnaires (aka, DBQs) help to reduce some of this wait time. Surprisingly, many Veterans have never heard of DBQs. A DBQ is a questionnaire that can be filled out by your doctor (private or VA). The questionnaire is designed by the VA, with an eye towards helping to establish the current degree of impairment that your disability causes. It can often take the place of the dreaded Compensation and Pension (C&P) Examination. 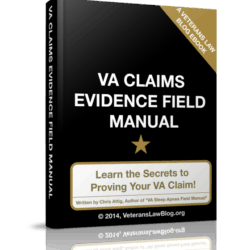 Most commonly, DBQs are use to RATE a condition in an original claim, or evaluate the degree to which a service-connected condition has worsened in a claim for increased compensation from the VA. In the rarest of circumstances, a DBQ might be helpful to establish service connection. Having said that, in our cases we tend to consider using a DBQ for pure service-connection purposes only when there is a “rule-out” diagnosis of a particular condition. (A “rule-out” diagnosis occurs when a physician evaluates a condition and diagnoses a disease by what it is NOT, rather than what it is). Even then, the DBQ is not always the best tool in the toolbox for establishing service-connection. But they are hard to beat when it comes to quickly and effectively establishing your Impairment Rating. Keeping in mind that the primary purpose of a DBQ is to establish the degree of your impairment, using the DBQ can typically yield a more objective and accurate rating from the VA.
A VA C&P Doctor is either paid by the VA (salary), or paid pursuant to a contract with the VA.
Point is – they know who “butters their bread”. Their relationship – and their loyalty in that relationship – is often to their employer. This is going to be a bitter pill for many of you to swallow; the VA Claims process is supposed to be non-adversarial, and it can be hard to believe that a doctor would put his employer ahead of his patient. A lot of times, those interests align, but it is not always so. One VA Regional Counsel – whose name I am not going to mention – told me that they are instructed to tell VAMC doctors NOT to offer opinions in VA service connection claims, because such opinions are conflicts of interest. I’m not saying this happens a lot of the time – but it happens enough of the time. A private doctor, on the other hand (especially your treating physician) typically has a more intimate, long-standing and personal familiarity with your condition – and the desire to heal or treat you if possible. For these reasons, you are much more likely to get a fair and objective – although not always favorable – review of your medical condition from your Treating Physician than a VA C&P Doctor or VA Contract examiner. Pros and Cons of DBQs. These are not the only pros and cons for using a Disability Benefits Questionnaire in your VA Claim, but they are some of the bigger ones. – No objective statistical evidence is available to conclude that using a DBQ will speed up your claim. 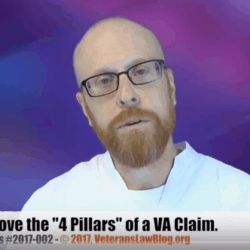 Having said that, many Veterans do report a higher degree of satisfaction in the processing time of their VA claim when they properly use a DBQ. – DBQs are not available for every condition, particularly mental health conditions like PTSD, and complex conditions with multiple residuals, like Traumatic Brain Injuries (TBI). – DBQs do not always “mirror up” perfectly to the rating criteria for some conditions. Always have your doctor review and compare your limitations to the rating criteria for your condition, even when using a DBQ. – Private doctors can’t bill insurance for a DBQ, and so they don’t often agree to do them unless you pay up front. This can get pricey – although doctors like cash as much as any business, and are often willing to negotiate a mutually agreeable fee. – VA Treating Doctors routinely refuse to use DBQs – based on (erroneous, in my opinion) guidance from OGC that to do so would interfere with the VA Benefits process. – You don’t “lose control” of your claim by having to put your faith into a doctor whose salary, or contract, is paid by the VA.
– Your doctor knows you – and your condition – they are more likely to provide a realistic picture of your condition and the limitations it imposes on you. Where to find DBQs for your condition. The starting point is on the VAs website. The VA provides some cursory information about DBQs, and links to the DBQs for approximately 70 medical conditions. I have also found that a message board by and for Veterans provides some very helpful understanding of the DBQ process. (Just to be clear, I am not sanctioning this site’s advice. While there is a lot of rock solid information and experience on their site, there is NO substitute for good legal advice on the specifics of your VA claim from an attorney accredited by the VA.
Use the Vets.yuku.com site for information and context only – NOT for legal advice). 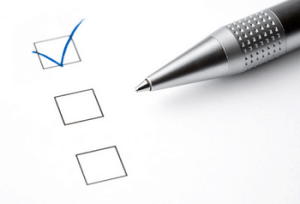 Tips for using the Disability Benefits Questionnaire. In any reports from your physician, make sure that they review – and state in writing that they reviewed – your complete C-File. (Otherwise, its not going to get afforded the proper evidentiary weight). Don’t use outdated medical information – we consider anything older than 6-12 months (depending, of course, on the conditions and issues) to be outdated for impairment rating purposes. 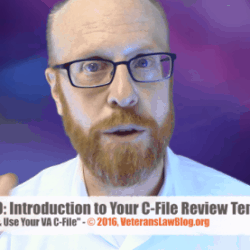 If you use out of date information, the VA will likely still schedule you for a VA C&P Exam, and you will be back to waiting months, or years, for a VA Ratings Decision and Impairment rating of your service-connected disability. What kind of experience did you have with the VA in a C&P Exam or in using a DBQ? Did you prefer one approach over the other?